DogsBite.org - On June 29th, DogsBite.org posted our Comment Policy to clarify that we do not post comments that blame innocent victims of severe and fatal dog attacks. We offer a voice for victims and people who care about these victims. We are not a sounding board for pit bull advocates or pit bull special interest groups. This policy is clearly visible on our comment form. Just a few days after we posted our policy, a person named James (Jim) Crosby left a comment that ignored these rules. Crosby is a retired police officer and refers to himself as a "Canine Aggression Expert." He investigates fatal dog attacks and operates a consulting business called CanineAggression.org. According to his website, Crosby does not charge a fee for his "fatal dog attack" response services. "When they (pit bulls) ﬁght, human intervention has selected for animals that do not turn off, and do not stop ﬁghting until one, or both, are dead.1"
We have not changed Crosby's original comment, but we have used an underline for emphasis to show the horrific nature of his words. The comment he left regards the fatal attack of Mary Bernal. 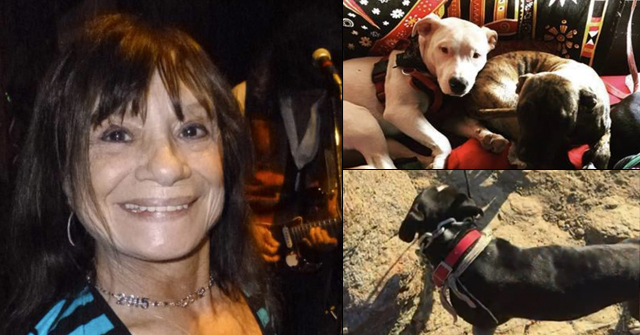 In June of last year, while Mary was visiting family members, she picked up her dachshund and was subsequently savagely attacked and killed by the family's pit bull, named Taz. Genetic animal-aggression may have started the attack, as the pit bull was reportedly after the dachshund. Still, the dog latched onto Mary's scalp, flung her to the ground and drug her, still holding the scalp until it ripped clear off. 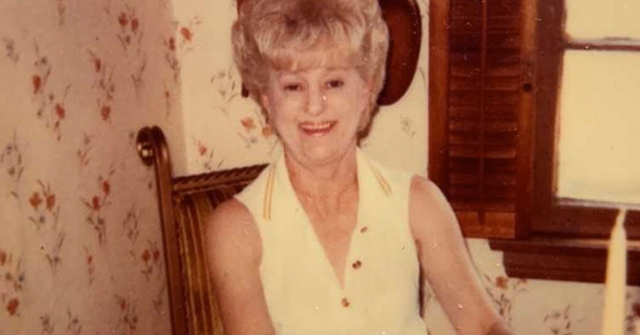 Mary was airlifted to Halifax Medical Center and died shortly thereafter. Please remember how she died as you read through Crosby's comment. "It's a shame that your reports are typically incomplete, as in this case. How do I know? I investigated this incident (and many others) in person. This attack began before the day of the attack. Relatives were visiting for a month and had a small dachshund. The dachshund had received substantial attention, supplanting the dog Taz in many interactions. Just prior to the attack Ms. Bernal had picked up the dachshund because the two dogs had begun scrapping. When Ms. Bernal yelled at Taz and snatched the dachshund away, Taz went after the little dog. Bernal held the dog up and screamed. Taz's first bite was to Ms. Bernal's hand, where she was holding the dachshund. Her screaming intensified, triggering further action by Taz. 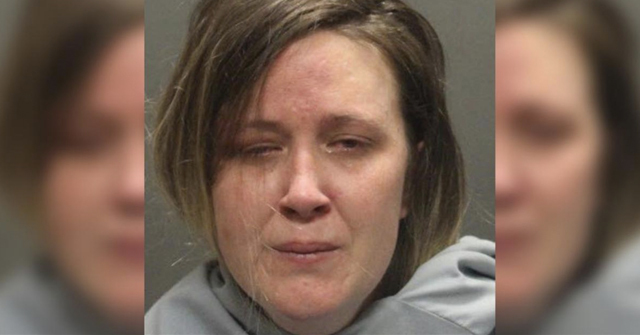 Ms. Bernal went down and Taz continued attacking the screaming, thrashing woman. Ms. Macias stuck the dog repeatedly with a shovel, intensifying the attack. Was this a reasonable attack? No-absolutely not. This attack was tragic. It was also unrelated to the breed of dog. ANY large dog could have, and probably has, shown the same behavior. I have seen it in attacks by breeds ranging from Pit Bulls to Dachshunds-who yes, have killed people. I should also point out that the dog Taz suffered repeated seizures immediately after the attack, to the point that the Halifax Humane Society euthanized him within hours of the attack. Those seizures may well have been the cause of the attack-they could easily have been the result of a tumor or other neurological disease that could also explain the sudden aggression-without invoking the demon breed. If you are going to publicly blog about these incidents, please get the actual facts and look for the real causes-like human behavior prior to the attack. In nearly every attack I have investigated on scene-and that is more that any other person ever has-there has been a human related pattern of behavior or a human fault that has directly led to the incident. 1In November 2008, after Crosby gave expert testimony against the City of Aurora's Fighting Breed ban, it came to our attention that portions of his website had been removed that directly relate to this blog post, specifically the teal colored text. The original text can be found here. …..The pit bull is not to blame for the attack that killed a person and violently injured another because Taz was “supplanted” by the dachshund. When a dog feels jealous, it’s perfectly okay to attack and KILL. …..It’s Mary’s fault that she picked up the dachshund to stop the dogs from “scrapping” and screamed in fear. Mary should have known that to “scream” in the vicinity of a pit bull is an invitation to attack and KILL. …..Mary also should have known that continued screams would only trigger the already explosive Taz to attack more violently. Regardless of the fact that at this time, her scalp was likely being ripped OFF. …..Ms. Macias never should have picked up the shovel to save her sister-in-law. According to Crosby, that was the nail in the coffin. The “screaming, thrashing” woman was bad enough. But when the owner began to hit her dog with a shovel, Mary’s DEATH was a no-brainer. (It was reported at the time that Ms. Macias suffered at least one thumb loss as she tried to pry the dog off of Mary). …..Crosby excuses Taz’s “sudden aggression” on a possible neurological disease despite this breed specific behavior. This deduction is from the seizures that emerged after being repeatedly bashed with a shovel. The McKnight Brain Institute should be informed that “sudden aggression” is indisputably a genetic trait in pit bulls. The Pit Bull community relies heavily on self-created dog authorities to steer the dangerous dog debate away from the breed issue. Mr. Crosby’s own website states that he does not charge communities for his investigations, begging the question: Who is paying? Last week a crazy study came out that said dachshunds were the most aggressive breed! This explains why recent news stories report that a pit bull ripped off a child’s scalp, chewed both arms off its owner and ate through an elderly man’s leg and arm. Why would a career law enforcement type advocate for a dog breed that his “bretheren” will have to face and shoot hundreds of annually in the streets and drug houses? I don’t buy his “It’s the owner” schtick. It’s a childish argument based on the false premise that all dogs are hand grenades with the pin pulled. A guy I know that says a pit bull won’t bite unless it charges first. I told him, “a rattle snake won’t bite unless it’s coiled first, but I wouldn’t put either one of those to the test if I were you”. There will always be a supposed expert that just kind makes it up as they go along. So when someone is under threat of their life they should remeber not to call for attention or defend themselves with a weapon because this further intensifies the animals aggression? Why is society putting up with dogs that scalp people? This man is typical of the pit bull crowd that will not come to sanity about the danger of this BREED. This dog was created to fight and kill other dogs–period.So genetically they are going to be more dangerous. This is like saying the victims in the Holocaust were guilty because they didn’t fight and scratch while they were going to the ovens.I make this comparisom because I’m discussing innocent human beings who just happened to be in close proximity to a tenatious, killing, dog. I don’t blame the dog–I blame people like this idiot who protect and promote this breed. It is all so predictable…no sympathy at all for the victims. Basically, he is denying that that level of sustained attack is a pit bull trait, even though he essentially admits as much on his website. I also notice he has loads of “certificates”, which are easy to obtain, but no degree. What makes him an experts in animal behavior when he has never had any formal training/education in it? Has anyone noticed that no one with a PHD in applied animal behavior has backed the claims of the pro-pit lobby? Yes, I agree a Professional Whitewasher. We need to stop allowing a small minority of people to control this information. References to pomeranian and dachshund attacks are always put forth as proof of all breed dangerousness. Let’s take Crosby’s hero and mentor, Karen Delise’s advice and look at “The Stories Behind the Statistics”. In 1974 a dachshund killed a 7 month old infant. In 1979 a dachshund killed a 14 day old infant. In 1999 a chow and a dachshund killed a 3 month old infant. Now I don’t know about you BUT I do not consider infants to be PEOPLE. They are human but NOT people. I have never heard any one refer to infants and toddlers as PEOPLE. Now there has been one case where a pack of 6 small dogs, described as terrier-beagle-dachshund mixes have killed a PERSON. That person was an 81 year old female, a stroke victim, an INVALID ie a giant infant. I have seen the photos of the dogs and they are clearly dachshund and terrier, although I fail to see the evil little beagle in them. You won’t find this “story” in Delise’s book but you will find it in a 1983 study done by Borchelt, Lockwood, Beck, Voith titled “Attacks by Packs of Dogs Involving Predation on Human Beings”. ONE dachshund or even 10 dachshunds roaming the neighborhood are unable to kill an adult gardening, retrieving mail, jogging, or walking their dog. Sure, small dogs can kill SOME humans but in these cases, EVEN ducks and rabbits have the ability to carry out the deed. Infant or invalid fatal dog attacks SHOULD NOT be considered when legislating behavior or dog ownership or anything for that matter. Outlawing everything that can harm infants would make for a very bizarre and barren society, ie a large bucket of detergent from Costco flashes the drowning warning for infants and children. For the pit nutter record: I can’t stand little dogs, dachshunds, chihuahuas, jack russells, pomeranians, pekinese, cockers etc etc. I would never even consider owning one. And I agree with study recently released, these nasty nippy little breeds ARE more likely to threaten to bite, attempt to bite and actually bite BUT they are much less likely to cause serious injury and death. And let’s be honest here, the study wasn’t about injury seriousness and death caused by dogs, it was about BITING. I would like to make one comment on what I have noticed is a common description of pit bull dogs given by many pit bull “experts” and pro-pit websites. Many defenders of the breed tout the dogs “loyalty” to their owners, and reason that the dogs became such good fighters because they were trained to fight, and wished to “please” their masters. The ridiculousness of this statement is obvious…..do labs retrieve because they want to make you happy? No, they do it because they want to do it…it is a self-rewarding behavior. It is arrogant and idiotic to believe that pit bull dogs behave aggressively to “please” their owners; they have a hard-wired genetic drive to engage in certain behaviors, just like pointers, beagles, greyhounds, etc. It may flatter the egos of pit bull owners to believe that the dogs engage in aggressive behavior out of “love” for their humans, but its simply not true…any more than a beagle chases rabbits because he believes it will please his master. My second point is the pro-pit lobby’s insistence on the supreme biddability of these dogs. That has never been my experience, and it is counterintuitive that a dog bred to act independently, and engage in fighting behavior without provocation, would also be extremely biddable. Retrievers and herding dogs have always been easy to train; they were selectively bred to work closely with humans in the field, to stay close by and be ready to take instruction. Other breeds, like hounds, have been bred to work independently, ranging far from the hunter to locate and tree game, then alert him by baying. Ask any dog trainer if hounds are as easy as retreivers to train in obedience; I have, and the answer was “no”. The public has been asked to believe that pit bulls, despite their genetic heritage, despite being bred NOT to work closely and cooperatively with humans, despite the fact that large numbers of them are being bred for aggression by breeders today….are really just sweet, easy to train, pets suitable for the average family. How can this possibly be? Why does genetics and selective breeding effect every other breed but pit bulls? We easily accept that retrievers retreive, pointers point birds, terriers dig holes, hounds are vocal, etc….why does the public not accept that pit bulls were bred to grab, hold, and shake another living thing until it is dead? When he states that he “investigated” this matter “in person” – exactly what does that mean? If I read about an incident on a blog, I’ve “investigated” the matter “in person” to an extremely restricted extent. He sounds like Karen Delise, who has repeatedly lied about conducting her own investigations. If the person is not a law enforcement investigator, then you must be suspect of both their predisposition towards a biased position, their training and experience in conducting the very type of investigation at issue (I know many cops who wouldn’t know how to investigate a dog bite), and most importantly they must describe their analysis and methodology employed to reach any conclusions. (If you were paying attention, you would note this is exactly what Karen Delise has never done). “The entire premise of the “It’s the owner” public relations shtick is the false assumption that ALL DOGS ARE HAND GRENADES with the pin pulled, and it’s up to the owner to keep the lever compressed. 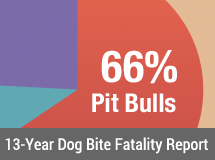 Any pit owner that fails in his 24/7 break stick holstering/lion taming routine is “A bad owner” and is summarily thrown under the bus to keep the debate away from the pit bull community’s unsafe and criminal breeding practices. Clearly, the explosive animal aggression and gameness trait led to this fatality along with the owner’s ignorance/arrogance that she could control it. Perhaps she was misled by the Pit Bull PR machine and didn’t believe centuries of dog fighting genes were passed on to Taz…. Pit Bulls require a superior owner with a superior containment infrastructure and superior insurance coverage. The Pit Bull community’s nanny dog propaganda is shattering lives by inviting unqualified owners on the wild ride of Pit Bull ownership, when the average dog owner is not equipped to own such an animal. I strongly suspect the study that names the dachshund as the most aggressive breed is an on-line survey I participated in recently. This was a forward from someone in my dog training club. This survey was entirely self reported. The queston was asked “has your dog ever bitten anyone” and “how aggressive do you feel your dog is?” Pit bull owners never feel their dog is aggressive and deny even well publicized attacks. The results of the survey reflect the demographics of the responders not the actual aggression of the dogs. It’s true that small dogs can be very dangerous: you don’t see them, you trip, you break your neck. Better watch out for them! Yeah…All that survey reveals is that Doxie owners are honest…I’m shocked that the Pit Bulls ranked so poorly knowing the community’s penchant for spamming and distortion. Recently in Indiana there was a woman who lost both arms to her pet pit bull. The dog had not been treated cruelly. The dog had recently bitten the owner who was taking the dog to obedience school. Then being let out one morning the dog attacked. On a pit bull owners blog in the state the conversaton centered around the dog MUST have had a brain tumor. They must have been educated by this guy. These people are immune to the facts of this dog. Do they read dogsbite.org? This happens all the time. Hint: It’s not the victims fault and these dogs don’t have brain tumors. Oh, the pit bull blogs are ridiculous….pit bull chat forum now won’t allow you to view their conversations unless you register…..wonder what they are afraid of? Its because of the dog fighting sub-culture that permeates all pit bull discussion forums and blogs. They want to discuss gameness, and fighting bloodlines, etc, and they don’t want law enforcement to listen in. You can see the topic headlines on the board….they are often about dogmen and fighting bloodlines. Karen Delise’s methodology is stated on page 82. Whether or not statisticians and/or independent objective researchers or simply readers other than her pit bull fan club would regard this as legitimate “methodology” is quite another issue altogether. -The dog was officially identified through criminal proceedings as a Pit Bull. -The dog appeared to be a Pit Bull and was used or obtained as a fighting dog. -The dog was identified by the media, owner, animal control and/or law enforcement personnel as a Pit Bull and there is photographic documentation to substantiate this claim. – The media is the only source of breed identification. * Dogs with characteristics of a Pit Bull and characteristics of another breed are classified as “Mixed Breed” dogs. For example a dog that has characteristics of a Pit Bull and a Chow Chow is listed as a Mixed Breed dog with the phenotype in parenthesis (Pit Bull/Chow X). The above excerpt was taken from Karen Delise’s 2002 riveting blockbuster, “Fatal Dog Attacks, The Stories Behind the Statistics”. Clearly Delise is guilty of doing exactly what she criticizes others of doing and that is relying on the media for information regarding dog attacks. I think it is also important to add that no where in this book does Delise describe how OTHER breeds of dogs were determined. Obviously, there is a BIAS towards pit bulls, which immediately disqualifies her work as “scientific”. A forensic expert – NOT! As if there was a history of all these attacking pit bulls with post-mortem discoveries of neurological etiologies. Show me even one! Back to school for this pretender. Gotta wonder how these folks deal with the moral dilema of being a Pit Bull whitewasher? Do they really believe their drivel or have they made a calculated decision to wash away past/future victims while pit breeders sell dangerous dogs for as long as possible? It's worse than that EyesOpened! Crosby "was" the Animal Control Director at Jacksonville for a short stint — then he got booted temporarily — "because of a city law that bans city pensioners from returning to city employment later." So apparently, they brought him back to lead the department as a "consultant" because that is the only means the city law would allow. So while in this role, as Animal Control Director at Jacksonville (two counties north of Flagler County), he is also being used as a "consultant" to go AGAINST animal control officials in Flagler County (Palm Coast Animal Control) … I don't think the writer of the Palm Coast article has any idea of this. He just reported that, "James Crosby … served as an animal control hearing officer in Jacksonville, visited the shelter to perform a free evaluation of Muneco." Wow! You are doing such good work, Colleen. Thank you for doing the investigative journalism and research to get the truth out there. The regular person reading articles like the one in the Palm Coast Observer about Muneco would just assume that a behavior consultant would be accurate and correct. It's incredibly disgusting how much corruption there is in animal control/shelters/rescues. I admit to finding it a bit amusing that Crosby blatantly broke city law. What, a pit bull owner/advocate breaking a law? We've never heard that before…sarcasm off.